MATSUO Taiga flies out to right field. F9. 2 out. PEREZ BLANCO Brallan Andres doubles to right center. Ball 1. PEREZ BLANCO to 3rd on wild pitch. 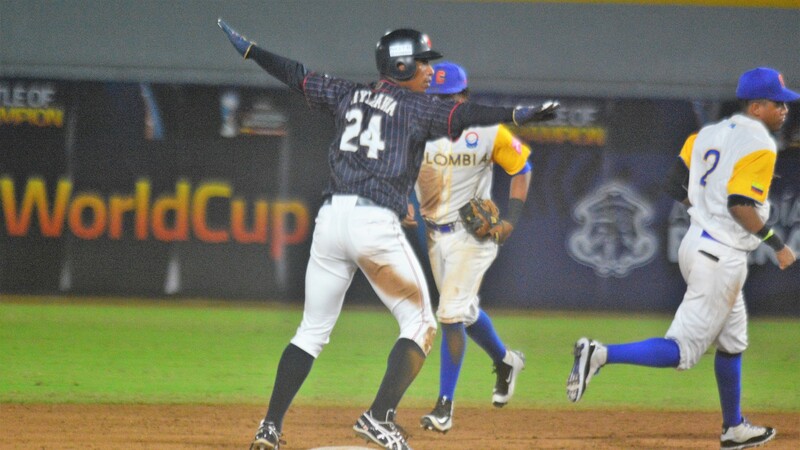 MARRIAGA MONTALVO Jesus Adalberto grounds out. 1-3. 1 out. TORRES CHAVEZ Jhon Hansser singles to center field. PEREZ BLANCO scores. VIDAL VARGAS to 2nd. 1 RBI. POMARE MARTINEZ Derwin Dix flies out to right field. F9. VIDAL VARGAS to 3rd. 2 out. HORIUCHI Kengo walks. YASUDA to 2nd. 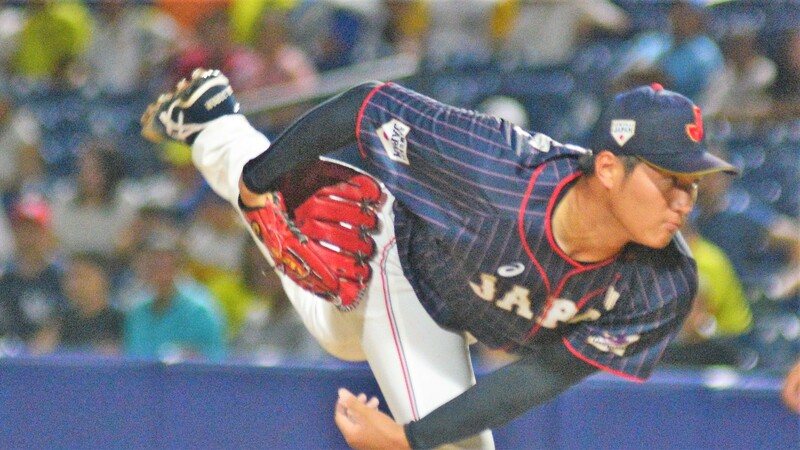 NISHIMAKI Kenji reaches on fielders choice. HORIUCHI out at 2nd 64. RAMOS MEZA Milton Alain grounds out. 6-3. 1 out. POSSO MANRIQUE Jesus Francisco flies out to left field. F7. 2 out. DIAZ SANDOVAL Jordan David flies out. P6. 3 out. SHIMADA Kairi singles. Bunt. SHUTO to 2nd. MATSUO Taiga triples to left center. SHUTO scores. SHIMADA scores. 2 RBI. Ball 1. MATSUO scores on wild pitch. MIYAZAWA YOSHUA singles up the middle. YASUDA to 2nd. HORIUCHI Kengo reaches on fielders choice. MIYAZAWA out at 2nd 46. PEREZ BLANCO Brallan Andres strikes out swinging. 1 out. MARRIAGA MONTALVO Jesus Adalberto strikes out swinging. 2 out. VIDAL VARGAS Carlos Andres triples to deep right center. TORRES CHAVEZ Jhon Hansser strikes out swinging. 3 out. NISHIMAKI Kenji grounds out. 5-3. 1 out. SHUTO Ukyo grounds out. 4-3. 2 out. CAMARGO ALONSO Jair David grounds out. 6-3. 2 out. RAMOS MEZA Milton Alain strikes out swinging. 3 out. KISHISATO Ryosuke grounds out. 3U. 2 out. UCHIDA Yasuhito grounds out. 4-3. 3 out. POSSO MANRIQUE Jesus Francisco grounds out. 6-3. 1 out. DIAZ SANDOVAL Jordan David flies out. F6. 2 out. MARRIAGA MONTALVO Jesus Adalberto grounds out. 5-3. 3 out. Swinging Strike 2. YASUDA out at 2nd CS26. HORIUCHI Kengo flies out to center field. F8. 3 out. TORRES CHAVEZ Jhon Hansser flies out to right field. F9. 1 out. POMARE MARTINEZ Derwin Dix doubles down LF line. VIDAL VARGAS to 3rd. RAMOS MEZA Milton Alain flies out to center field. Sacrifice Fly. SF8. VIDAL VARGAS scores. POMARE MARTINEZ to 3rd. CAMARGO ALONSO to 2nd. 2 out. 1 RBI. 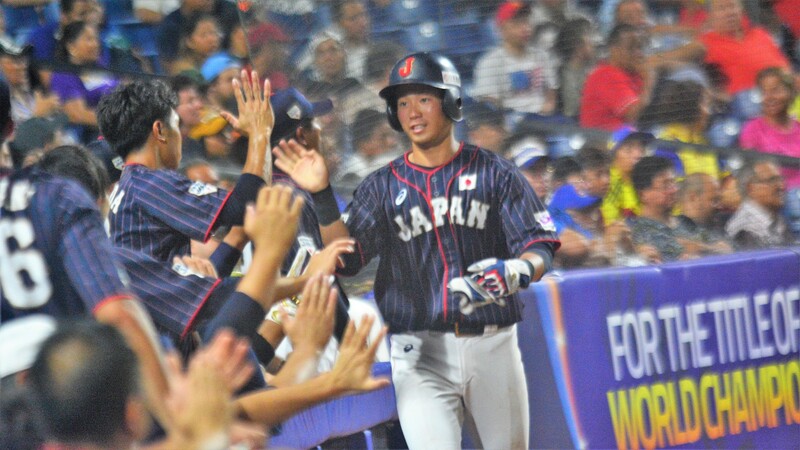 NISHIMAKI Kenji singles to center field. SHUTO Ukyo grounds out. Bunt. 1-4. Sacrifice. NISHIMAKI to 2nd. 1 out. SHIMADA Kairi singles to center field. NISHIMAKI to 3rd. MATSUO Hit By Pitch. SHIMADA to 2nd. KISHISATO Ryosuke singles through the right side. NISHIMAKI scores. SHIMADA to 3rd. MATSUO to 2nd. 1 RBI. UCHIDA Yasuhito walks. SHIMADA scores. MATSUO to 3rd. KISHISATO to 2nd. 1 RBI. YASUDA Hisanori flies out to center field. Sacrifice Fly. SF8. MATSUO scores. 2 out. 1 RBI. DIAZ SANDOVAL Jordan David strikes out looking. 1 out. PEREZ BLANCO Brallan Andres flies out to center field. F8. 2 out. MARRIAGA MONTALVO Jesus Adalberto grounds out. 3U. 3 out. HORIUCHI Kengo flies out to center field. F4. 1 out. SHUTO Ukyo grounds out. 1-4-3. 3 out. TORRES CHAVEZ Jhon Hansser grounds out. 1-3. 2 out. 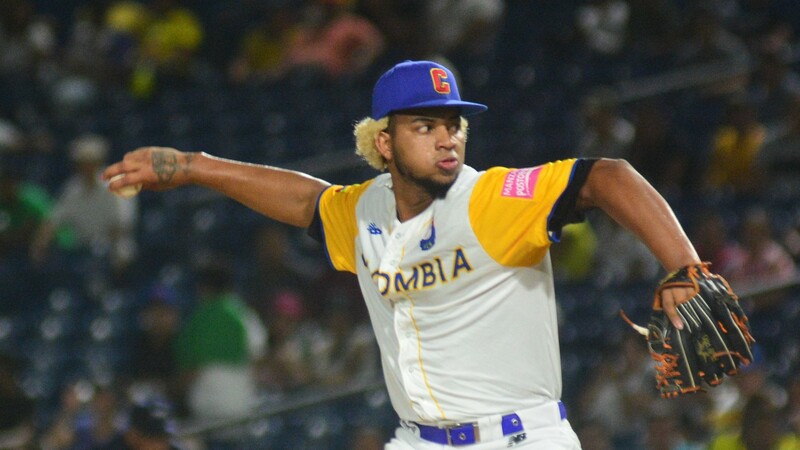 CAMARGO ALONSO Jair David reaches on fielders choice. POMARE MARTINEZ out at 2nd 64. SHIMADA Kairi singles to left field. MATSUO Taiga strikes out swinging. SHIMADA to 2nd on stolen base. 1 out. KISHISATO Ryosuke singles through the left side. SHIMADA to 3rd. HARASAWA Hit By Pitch. KISHISATO to 2nd. YASUDA Hisanori flies out to left field. Sacrifice Fly. SF7. SHIMADA scores. 2 out. 1 RBI. MIYAZAWA YOSHUA strikes out swinging. 3 out. RAMOS MEZA Milton Alain grounds out. 5-3. 1 out.